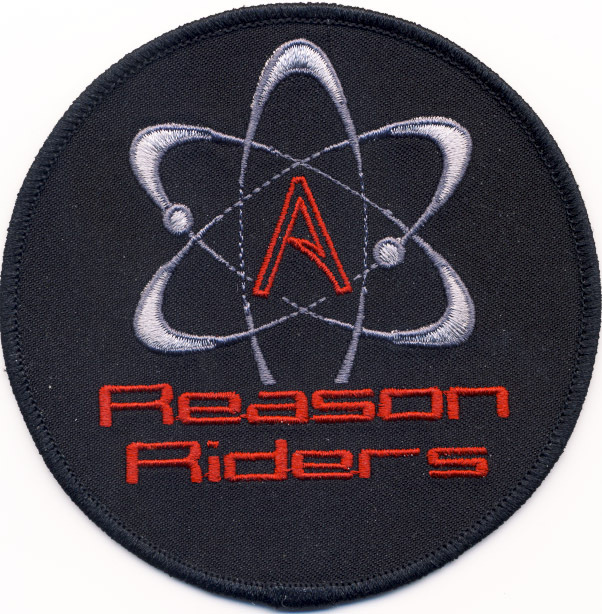 The Reason Riders Atheist Motorcycle Group Chapter 1 in Buckeye, Arizona is holding their first Rally on Sunday, November 15. It’s a BBQ Meet and Greet to introduce the sitting Officers to prospective new members and to honor the group’s special guest The Green Knights MMC Chapter 28 out of Luke AFB. The Reason Riders will be providing free BBQ hamburgers and hotdogs cooked by “Pit-Master Don” to all in attendance and will be holding a low speed rodeo for riders. 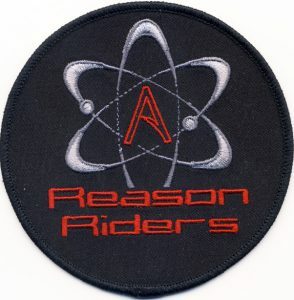 Reason Riders Chapter 1 has been gathering new members and solidifying their place in the motorcycling community in Arizona this past year, and has been gaining real momentum in the Atheist community. They have joined hundreds of riders in their mission to raise funds for Phoenix Children’s Hospital through the “I Ride 4 PCH” campaign! They also met with many Motorcycle Clubs at Bob’s Biker Blast in Scottsdale AZ. Chapter President “Bishop” made great connections with other groups and clubs and has pledged the Reason Riders’ help in many upcoming holiday events. The upcoming “Birds on Bikes” hosted by the Modified Motorcycle Association (which the Reason Riders are now members) that benefits the less fortunate by supplying a local charity with turkeys and sides for full Thanksgiving meals will be the start-off point for the Holiday season. Also coming up is the “Frozen Hands and Asses Ride” just following the New Year. Bishop tells me they have more than 40 RSVPs at this time. Reason Riders is gaining momentum. If you’re up for it, now’s the time to get aboard.